All Livermore homes currently listed for sale in Livermore as of 04/20/2019 are shown below. You can change the search criteria at any time by pressing the 'Change Search' button below. "Welcome to this wonderful 5 acre estate with residential home (2 beds, 1 Bath, approx. 979 sq. ft. with large basement) perfect for tasting room or Air BnB. Beautiful views of the valley, mountains and rolling hills! Property sits on a main road with high traffic count. Potential wedding venue. Approx. 3 acres planted with the following varietals: Cabernet Sauvignon (Approx. 50%),Tempranillo (Approx. 40%), Petite Verdot (Approx. 10%). 24 Oak Barrels in Use (2016-2018 Juice), 500+ Cases Bottled. Various wine making and farm equipment available. Don't miss out on this opportunity!" "This is a Perfect 10. Light & Bright Open Concept Living Floor-Plan. $90K in Upgrades to Builder Options. Gourmet Kitchen with Huge Center Island, Stainless Steel Appliances, GE Profile Oven, Microwave & 5 Burner Gas Cook-Top. White Quartz Counter-Tops, Shakers Paint Grade Kitchen Cabinets, Pantry. Large Master Suite with Jack & Jill Vanities, Walk-In Closet, Sunken Tub, Stall Shower. Double Sink Vanity in Hallway Bathroom. Dual Pane Windows, Plantation White Shutters, and Recessed Lights Thru-Out. Elegant Crown/Wall Molding & Wood Floors Downstairs. Beautiful Berber Carpeting Upstairs. One Bedroom & a Full Bath downstairs. Tankless Water Heater in Oversize 2-Car Garage. Tile Floor in Bathrooms and Laundry Room. Central 2-Zone Central A/C. Ceiling Fans. Easy Access to 84 Highway and 580 Freeway. 10-15 Minutes Driving Distance to Dublin/Pleasanton Bart Station, San Francisco Premium Outlet Mall, Pacific Pearl Asian Mall. Close to Vineyards, Ruby Hills, Wente, Poppy Ridge Golf Courses." "Sitting on a corner lot, this single level, 4-bed, 3-bath home is designed for ease & comfort. Ten-foot ceilings, Louver shutters & ceiling fans throughout the whole house keep it cool on hot days while heat lamps installed in the master bath & Jack & Jill bath keep those rooms from getting chilly. The master suite includes a spacious walk-in closet & spa-like ensuite with separate shower & tub, plus dual sinks. The great room has a fireplace insert. The kitchen features a raised breakfast bar, Corian countertops, built-in fridge & microwave, & custom wine rack. Home has an up-to-date ADT alarm system & whole house fire sprinkler system. Conveniently has side access for boat/RV storage & a 3-car garage. The low-maintenance backyard features a cement patio, a pergola, a patio fiberglass awning that never needs paint, & drought-friendly landscaping. Easy access to Hwy 84 & minutes from wineries, parks, schools & more." "Lovely Cape Cod Style Home sitting on a large 10,000+ lot. Nestled next to a beautiful walking trail and views of the rolling hills and grass land. This 4 bedroom 3 bath home has over 2600 sq ft. of family living space. There is potential for a 5th bedroom. Large eat-in kitchen with loads of storage and family room area. The master is MASSIVE with room for a seating area. Over sized garage w/work area and additional storage. Yard has room for gardening, play yard, deck, and grass if you desire. Extra out building for storage. There is space for RV parking and at least 6 cars. GREAT FAMILY HOME... Beautiful Park within walking distance." "Come view this gorgeous newly constructed townhome (built in 2016) that has been updated throughout with designer upgrades! This beautiful townhouse consists of 3 Bedrooms / 2.5 Baths, 1,741 sqft with a den/office on the first floor which could be used as a fourth bedroom or separate living room. This home is just minutes from Downtown Livermore, wineries, restaurants, and a great location for commuters with the 580 freeway nearby. Upgraded quartz Caesarstone kitchen countertop with full back splash and large center island, pendant lights, stainless steel appliances, over sized pantry and hardwood flooring throughout. Attached two car side by side garage, recessed lighting, new interior paint, tankless water and low HOA dues with a community playground." "Fantastic Home and neighborhood 2 bed 1.25 bath 972 square feet, Updated painting in Kitchen,Living room & bedrooms. This home has lots of potential for first time buyers. This home is a Duet It's located in Springtown community off Vasco Rd & 580 FWY within minutes from the outlets & Downtown Livermore. Also very close to ACE train, library & recreation including walking trails, Springtown Preserve, Del Valle, and Brushy Peak Regional Preserve. All Offers will be presented as they come in. Possible incentive towards closing cost.Thank you!" "Offered for sale is the extensively remodeled home located in the beautiful Livemore Downs! This exquisite townhouse offers remodeled 2 bedrooms, 1.5 newly updated baths, new flooring, new kitchen cabinets, new counter tops, new appliances and the list goes on... Entertain your guests in the inviting outdoor patio and cool off in the community pool. Don't miss this opportunity to own this turn-key beauty." "Gorgeous 2 bedroom 2 full bathroom mobile home with a large living room and dining area. Updated kitchen with, newer cabinets, stainless steal appliances, gas range and pantry. Updated bathrooms with bath tub in guest bathroom. New windows throughout house. Two car covered parking. Amenities include clubhouse, pool and spa. 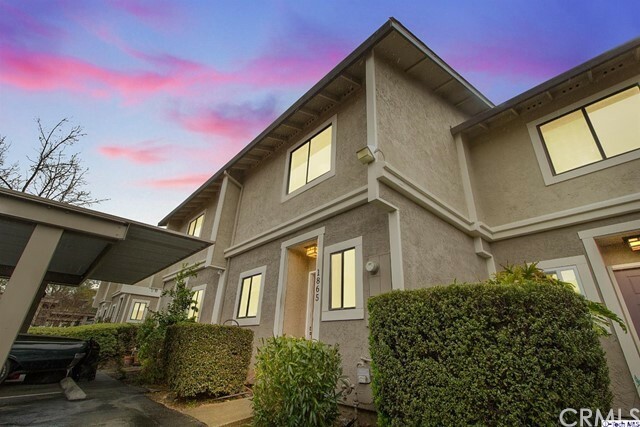 Easy access location close to freeway, Livermore outlets, Costco, wineries and minutes from Dublin BART. A must see! Fireplaces: NO"